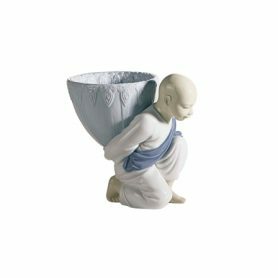 Potpourri Gift by Lladrò is a hand-painted ceramic decorative object depicting a Buddhist monk with a vase on his back. This original design object, created by the sculptor Francisco Cuesta, is ideal as a container for potpourri or candles. Lladrò is a Spanish company based in Tavernes Blanques, in the Valencian Community, which produces high quality porcelain items marketed all over the world. Daum animals set is a collection of original glass paste design objects. 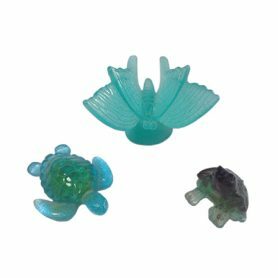 Frog, sea turtle and butterfly are furnishing complements ideal to give a touch of color to the environment. Daum is a French glassware founded by Jean Daum, the only one to produce artistic objects using glass paste.